I once saw a post that distinguished the complex fields of biology and physics, with a simple (and slightly comical) way. It goes like this: If it moves, it’s Biology and if it doesn’t work it’s Physics. If you’re familiar with this quote, then you’ll notice I left chemistry out of it. Although it is important in medicine, I want to draw the attention to the correlation between the two other fields. Biology is the study of living organisms and medicine is that which basically tries to keep your biological system alive. So where does physics come in? Biological Physics, or Biophysics is a term used to bring together the two different disciplines. It allows you to view Biological processes, with a physicist perspective, or vice versa; how biology helps with the understanding of physics, but usually it’s the other way round. It’s amazing to see how two seemingly unrelated disciplines can be put together to further progress medical and scientific development. If you think it through, you’ll probably come up with some way that Physics has impacted medicine, and the correlation between the two. Some of what I brainstorm is listed below. Isidor Rabi is known as the physicist who created the first NMR model (Nuclear Magnetic Resonance). His idea was then built upon and modified to show the NMR of condensed matter, by two other independent researchers; Felix Bloch and Edward Purcell. All of which had received a Nobel prize in physics. Then there’s Dr. Raymond Damadian. Dr. Raymond Damadian, is a physician. He earned a degree in math and Medicine and interestingly enough, he then pursued further graduate studies in Biophysics. Given that I’m talking about NMR, you can probably guess Dr. Damadian’s contribution to medicine. Yes, MRI it was (Magnetic Resonance Imaging), he was one of the main people that led to it’s discovery, along with others like Dr. Lauterber-although their stories get a bit complicated especially after 2003 Nobel prize awards. After working with NMR, Dr. Damadian realized the potential such a technology could have in detecting cancer cells. 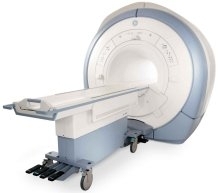 Today the MRI is used widely as a diagnostic imaging technique. The NMR itself was something created by physicist and people like Dr. Damadian brought it into a medical context. There’s more physics involved in medicine than we take note of. For one, there are other techniques and tools like X-rays diffraction, Neutron diffraction to help determine the basic protein structures. We use also techniques from physics when making medical tools more precise. ﻿ Another lesser known example is how controlling light can be used in medicine. We all know that light particles (photons) propagate with enormous speed (300 km per sec) which seems to make them uncontrollable. However, with the help of specially manufactured nanostructures, light can be slowed down, redirected, and even trapped. These nanostructures are called photonic crystals. How can this knowledge be applied to medicine? 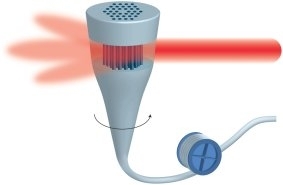 In 2004, the application of photonic crystals saved an end-stage cancer patient's life. His tumour was located in the respiratory tract, and for its suppression, they used a strong beam of laser light. In order to accurately transmit the laser, it was passed through the hollow-core photonic crystal fibre. This fibre was embedded into the endoscope which was inserted into the patient mouth. I love this example, because the discovery of this application and usage of photonic crystals is related to a prominent physicist working in Toronto, Sajeev John. Aside from the machinery and tools, Biological processes can be explained using concepts from physics, for instance, the transfer of charge during photosynthesis, can be better understood using by thinking quantum. Thus the category of quantum biology. 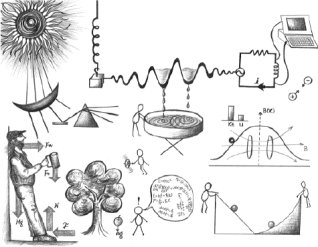 The movement of charge requires a physicist way of thinking. Quantum tunneling is different from the typical or classical way of thinking. It tells us the particle can be found even where a classical understanding would say is impossible. A quantum particle is able to literally tunnel through barriers you thought were impenetrable. Think of a quantum particle tunneling through a protein barrier. This means that there’s also a small chance you can find an electron in the nucleus. Tunneling can also be seen in radioactive decay where you expect alpha particles to be maintained within the nucleus yet they essentially escape. This is best understood using the Heisenberg uncertainty principle, which states that you can’t truly know both the position and speed of a particle at the same time; you either know one or the other. This uncertainty principle is based on the fact that a particle can behave as both a wave and particle; in essence the probability is never zero. To put that more into context, I’ll use the ball on a curved mountain example. When you roll the ball down the slope, you would see it roll towards the mountain and go up (remember this is a curved parabola like slope) a bit before rolling back. Classical way of thinking tells us that the highest it could roll up would be the same height it was originally released from. If we want it to go higher, some energy needs to be applied to it. Quantum tells us you can expect to find the ball within the mountain and also the complete opposite side! It’s easier to see the contribution that physics has had on medicine when you look closely, but it’s not usually the case the other way round. With more digging around you’ll learn that there are times where it is true. For instance, to better study quantum phenomena, you would be required to cool the system, however physicists are able to observe these in biological particles at body temperature. Also biological systems can be reproduced, making it better to study quantum phenomena. There isn`t much to say here, other than the fact that bringing different disciplines together is always interesting. Perhaps, we need to try and get the best of both worlds, rather than keeping them strictly separate, if we want to further develop and advance what we know, or learn something we have yet to discover.